This second series of SLLIMM (small low-loss intelligent molded module) provides a compact, high-performance AC motor drive in a simple, rugged design. 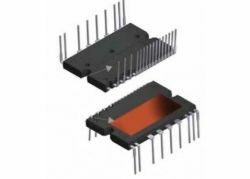 It combines new ST proprietary control ICs (one LS and one HS driver) with an improved short-circuit rugged trench gate field-stop (TFS) IGBT, making it ideal for motor drives operating up to 20 kHz in hard-switching circuitries. SLLIMM™ is a trademark of STMicroelectronics.